Stefan Witorzenc was born on 2nd January 1908 in Lida, Poland (now Belarus). He enrolled in the university at Wilno (now Vilnius) but dropped out to enlist in the Air Force Reserve Cadet Officers School at Deblin. In 1932 he was awarded his wings and posted to the 3rd Air Wing in Poznan. In early 1939 he was instructing at the Advanced Flying Training School at Grudziadz and moved to Deblin in time to fly in defence of the Academy there when the Germans invaded in September 1939. 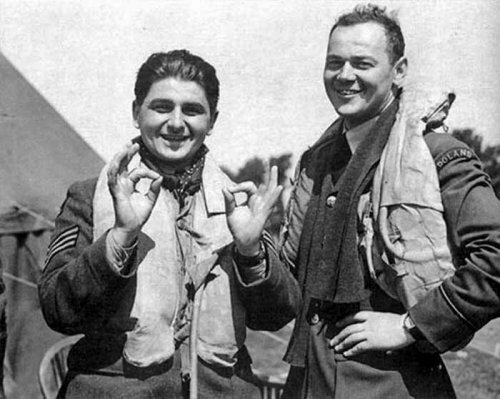 501 Squadron – With many other Polish airmen he escaped through Romania to arrive in England in late 1939, being commissioned in the RAF in January 1940. Initially posted to No. 1 School of Army Co-operation at Old Sarum he went to 6 OTU Sutton Bridge on 14th July. 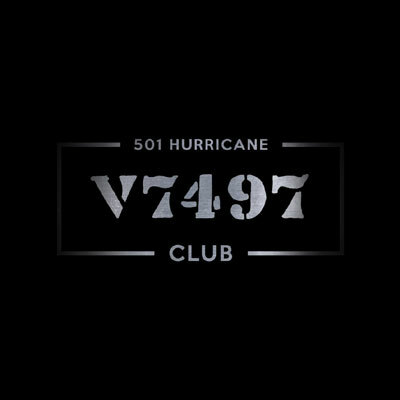 He converted to Hurricanes and was posted to 501 Squadron at Gravesend on 3rd August. Witorzenc damaged a Me110 on the 12th, claimed two Ju87’s destroyed on the 15th, shot down a Me109 on the 18th, damaged a Ju88 on the 24th, destroyed a Do17 on 2nd September and shared another on the 5th. His 18th August victory was Hptm. Horst Jacob Tietzen, an ace with 27 kills. He was posted away to 306 Squadron at Tern Hill on 22nd November as a Flight Commander. Witorzenc was awarded the VM (5th Class)(gazetted 1st February 1941). He went to 302 Squadron at Kenley on 14th May 1941, initially as a Flight Commander but he became CO on the 27th. Witorzenc destroyed a Me109 on 4th September and was awarded the KW (gazetted 30th October 1941). On 28th February 1942 he was appointed Wing Leader of No. 1 Polish Wing and was awarded the DFC (gazetted 1st June 1942). Witorzenc led the Wing until 25th September, being then posted to HQ 11 Group. He was posted to HQ Fighter Command on 18th February 1943 as Polish Liaison Officer. On 24th April 1944 Witorzenc went to 61 OTU as Wing Commander Flying. He took command of 25 EFTS Hucknall on 7th January 1945 and, on promotion to Acting Group Captain, Witorzenc was made CO of 131 Wing. In January 1948 he was released from the RAF and repatriated to Poland. In 1957 he was recalled to duty to head the Air Training Centre at Modlin. He lived in Warsaw, becoming in 1992 the President of the Polish Air Force Association. He died on 31st December 1994.